This article is a review of RED DAWN. Sometimes one has to wonder how a movie so tasteless, so inane, so ineptly put together (bar the explosions), could slip the net of filmmakers and make it onto the big screen. To quote a character in the RED DAWN remake, this is “a sh*t sandwich without the bread”; joining BATTLESHIP as a dubious militaristic dud. 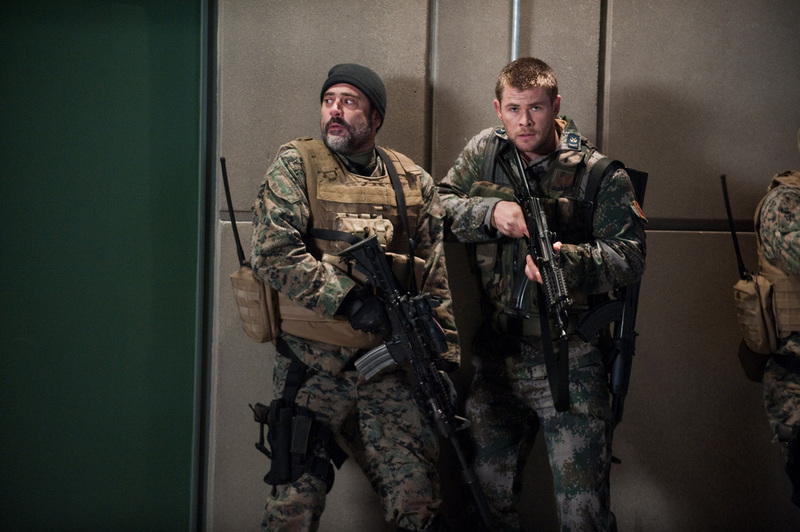 The board game adaptation may be the worst blockbuster of the decade so far, but RED DAWN sinks deeper into the cinema pit, and wallows in the dregs where creativity and allegory go to die. In the muck of banality, wooden acting and jingoism, a wholly unnecessary retooling of a pulpy 80s vehicle has been fashioned. The plot is simple, and in different hands might have been extrapolated with humour and/or a metaphorical slant. High school kids, with one of their older brothers, are thrust into combat, as America is invaded and overwhelmed. In the original it was the Soviet Union and Cuba, and here it is North Korea. The kids’ town is subjugated; and they provide an effective resistance, coming to be known as the Wolverines. The original was no masterpiece, but it was from John Milius, the co-writer of APOCALYPSE NOW and director of Arnold Schwarzenegger’s awesome CONAN THE BARBARIAN. It was adult and dark. The characters were less cardboard than today’s action flicks. Here, the violence is just as harsh, but bloodless. There’s also a who-cares love story added into the mix. Chris Hemsworth struggles with graceless, perfunctory dialogue. THOR, SNOW WHITE AND THE HUNTSMAN and THE CABIN IN THE WOODS have shown how a little breathing room lets him flex his insouciant brawling braggadocio. Jeffrey Dean Morgan crops up adding his usual class; but the impact he makes is the same as lobbing a tiny pebble into a lake. 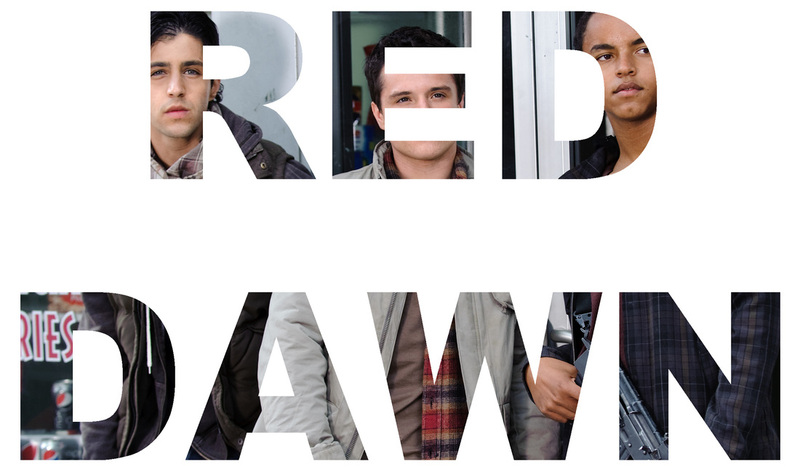 RED DAWN gives too much room to two guys called Josh: Peck (differently irksome to his turn in THE WACKNESS, here a wet blanket), and Hutcherson (robotic as he is in everything, e.g. THE HUNGER GAMES). 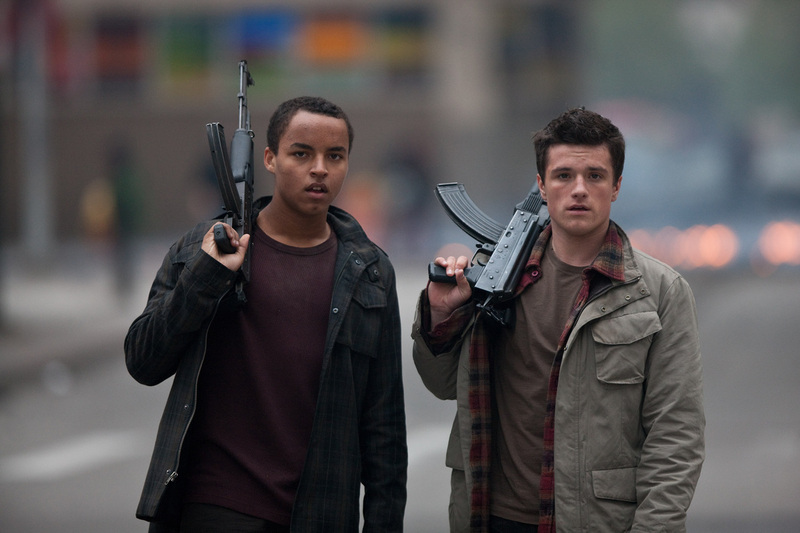 1984 RED DAWN just got on with it, invasion, boom, right in the thick of it. 2012 RED DAWN decides to leadenly set up global political upheaval, and relationships – “Our families used to go camping together.” There’s one nice pseudo-JURASSIC PARK shot at the beginning where the powder in a snow globe bounces as bombs drop outside. Forget receiving similar moments again. The camerawork is so shaky it’s as if the director wanted a cocktail made with the equipment at the same time.